Price: $184.99 without buckle for AP 42mm, or $224.99 for AP 44mm, or $144.99 for normal shape. We can make to fit your original clasp/buckle. 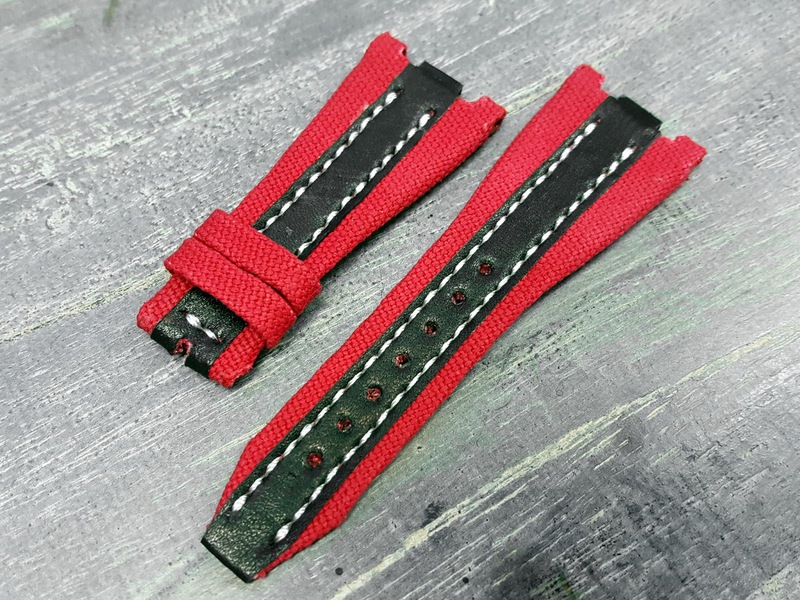 Or you can also order our 'standard' tang buckle for $17. **So please tell me the buckle that you're gonna put on. Also check price for other watches. Style: Sporty. The color & material combination is not limited to the one below, the limit is your imagination.